I just purchased a Gitzo 3541LS Systematic Carbon Fiber Tripod and Induro BHD2 to add to my gear arsenal. Both of these pieces of equipment are extremely precise tools. I though I would share a couple of tips on what to look for in a tripod and ballhead. 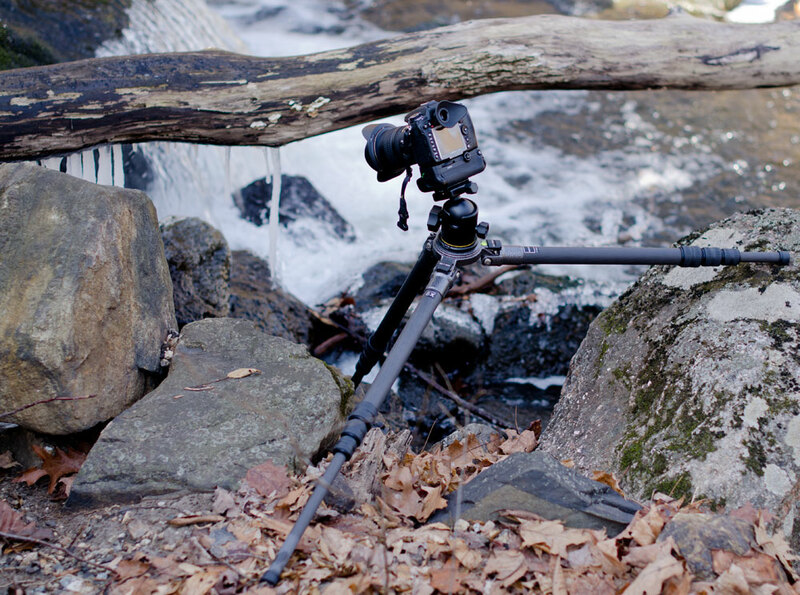 Go carbon fiber – It is much lighter than aluminum tripods and transmits less vibrations. Carbon fiber is also easier to maintain, and isn’t as susceptible to corrosion. Lose the center column – The center column drives up the price in a tripod, but isn’t the best thing for sharp images. When you raise the center column, you effectively have a three legged monopod. Buy for the future – All of us who post here are fairly young. You want to buy a tripod that will last you a lifetime. Buy from the reputable brands such as Really Right Stuff and Gitzo, as they often carry lifetime warranties. Go for height – A tripod should be at least tall enough to come up to your chin. This will insure comfortable usage. It should be durable – Ask about the tripod you are interested in on various photography forums and watch YouTube videos. This can give you a sense of how the tripod will perform out in the field. What to look for in a ballhead? Fluidity is the key – A ballhead needs to be fluid. If it isn’t, you won’t be able to pan very well. Look for independent panning lock – The independent panning lock allows you to pan while the rest of the head is locked down. This is great for panoramic photography. No creeping – Make sure that the ballhead doesn’t move when you tighten it down. If you frame a scene to the precise inch, you want it to stay like that when it gets locked down. Support the weight – A ballhead should be able to support the weight of your camera plus some. Look for warranties – Warranties give you an extra peace of mind. Look for the ballheads that come with them. Hope everyone had a great christmas and looking forward to new years! Just got back from Morocco, not much wildlife out there, other than a few camels and the odd stray dog. I decided to try out, and experiment with long exposure shots for the first time. It was difficult trying to reduce the shutter speed in such bright light (the river shots), so i used some ND filters to reduce the amount of light hitting the sensor, which proved relatively effective. Ideally i would have gone back on an overcast day, but it was some distance from the house and the family weren’t keen! The sunset shots were taken just outside our apartment, however without the use of a tripod, trying to create pleasing compositions was difficult. The rocks on which the camera sat had quite a bit of input into the shots! Critique welcome. Merry Christmas everyone! I hope you are having a day filled with fun and family. 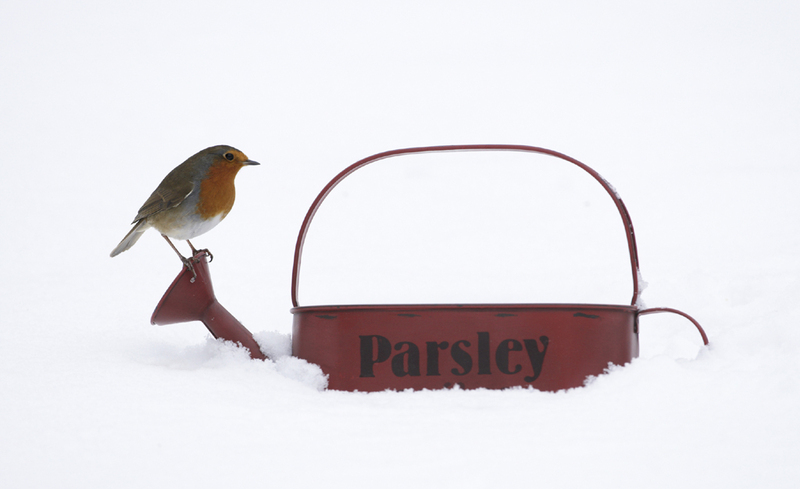 The image above is of a European robin (Erithacus rubecula) that I photographed last December when the UK experienced heavy snowfall. There has been significantly less snow this year in Kent with only a few flakes falling and melting on contact with the ground. There is nothing quite like waking up to find familiar surroundings transformed into suddenly unfamiliar terrain; untouched and new. Venture outside, and on closer inspection it is soon clear that the blank canvas is not completely flawless. Meandering trails made by foxes pockmark the snow. 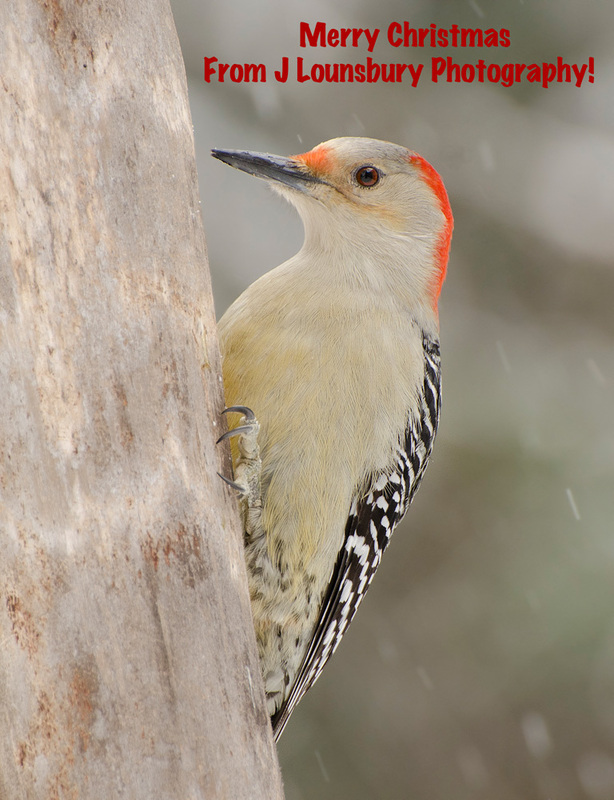 Mammals and birds alike leave both a narrative and a map in their wake. I am keeping my fingers crossed for a good layer of snow before the end of winter. As well as taking photographs I will be keeping my eyes peeled to see how many different tracks I can spot. The Holiday season is a great time for photography. Christmas lights can become great photo subjects! 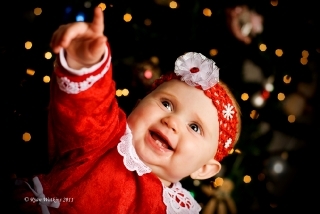 Using a Christmas tree as a background for portraiture can result in very pleasing results. By shooting with a wide aperture – smaller numbers f/1.4, f/1.8, or f/2.8 – the lights will be pleasantly rendered into large round bokeh. Bokeh is a Japanese term for the way the out of focus part of a picture looks. Different lens create different bokeh. Generally higher end lenses create softer more pleasing bokeh. Alternative lenses like tilt shifts and Lensbabies can also be very fun to use with Christmas lights. 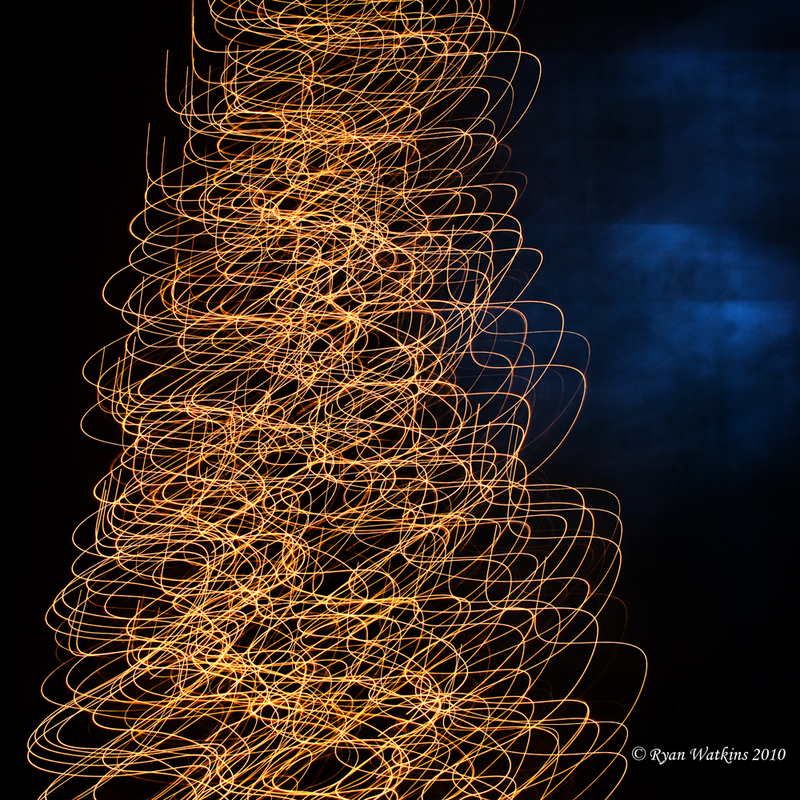 Christmas lights can also be very pleasing as abstracts. By using long exposures and moving the camera unique designs can be created like this image capture last year. The subtle blue in the top of the images comes from the late evening light outdoors. I slowly moved the camera back and forth to get this result. Play around this holiday season and try getting some unique Christmas light shots. This was one of those times where I wish that magnificent bird was perched on a branch. A lot of people ask me why I don’t delete images that include the hand of man. Well the simple answer is that the hand of man is everywhere! The birds have learned to adapt and use these things to their advantage. 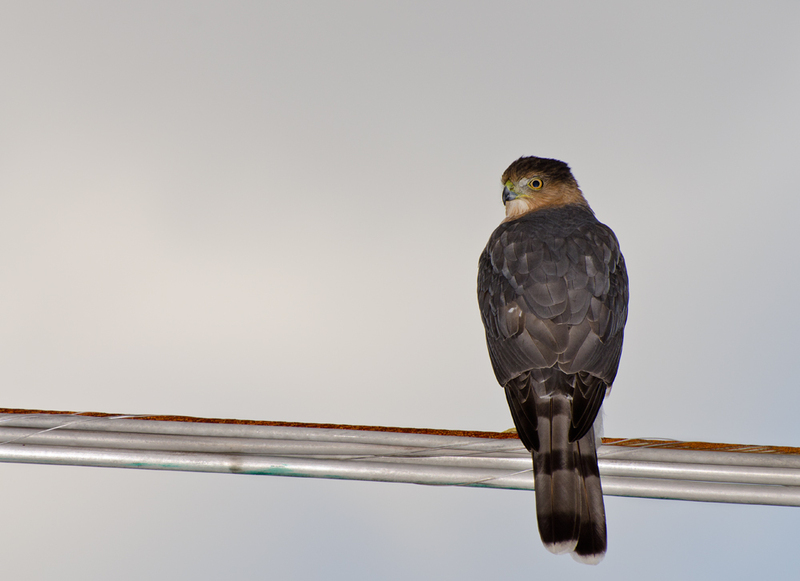 Hawks will perch themselves on power lines to search for food. That was the exact case with this image. I am showing the biology of this critter, which makes it okay in my eyes. Now on to the technical part. The background was pretty bright, while the subject was in deep shade. I broke out the Nikon SB-800 and the Better Beamer. My biggest challenge was keeping the red eye away. This was the one frame of about 30 that the red eye was not present. Now the big question. Is it obvious that I used flash on this one? Any feedback would be appreciated. Please forgive me for not writing in such a long time; due to some computer issues and time constraints it’s been difficult to write lately. As the fall comes to its chilly end and winter approaches it may seem like a less than optimum time for nature photography in the Midwest. The skies are gray, leaves are dying, and winter has yet to bring its plentiful snow cover. Instead of just waiting for the next season to shoot I’ve been outside almost every day for a short period of time attempting to find some worthy subjects; even though, I admit they’ve been few and far between. 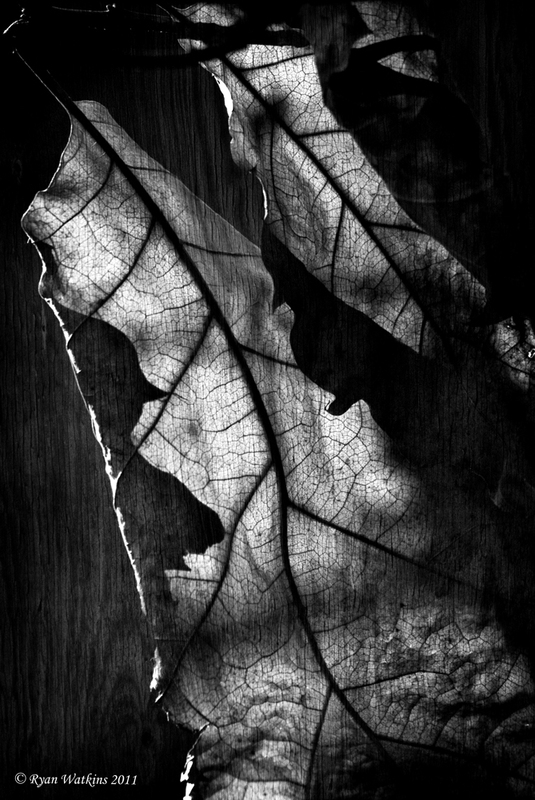 During one particular evening the light beautifully lit the decaying leaf featured above. I’d taken advantage of the soft light from the gray dull skies to photograph several textures from local structures. These images alone are quite boring, but by putting them over top of other images in Photoshop at a low opacity it can give a subtle mood and texture to the underlying image. The overlaying texture is from the wood grain of a hunting shanty. By adjusting the opacity it made it so that the wood grain just barely shows on the final image giving it a non overwhelming texture to help intensify this dismal foreboding image. I’ll be writing more posts about shooting during winter and the holidays soon! I’ve cover tacking advantage of Christmas trees and decoration for great photo backgrounds and abstracts soon.